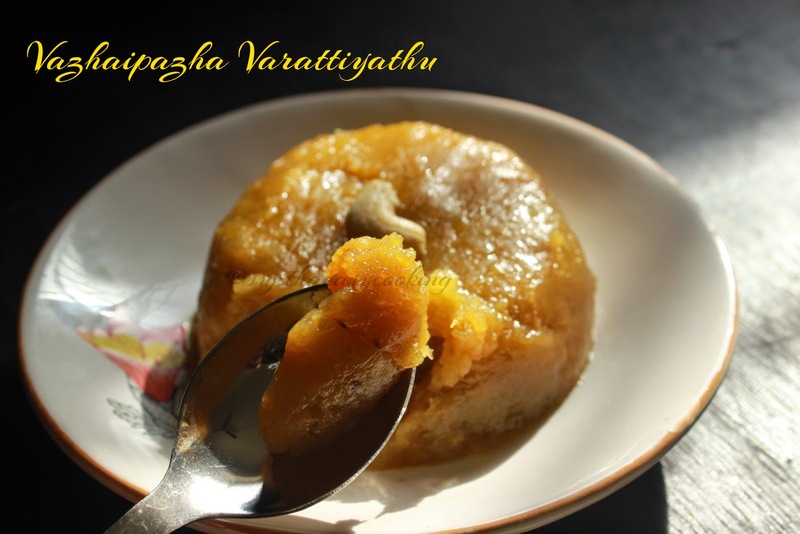 Banana Halwa/Vazhaipazha Varattiyathu, This is great way to preserve the banana.. When mom send parcel from hometown she do a bulk quantity of nenthra banana.. This time i plan for making it as halwa..
Frying banana with sugar and ghee taste great, this too steaming the banana’s then preparing it to a halwa kind of dessert means, is it a sin to dig a spoon full of halwa?? 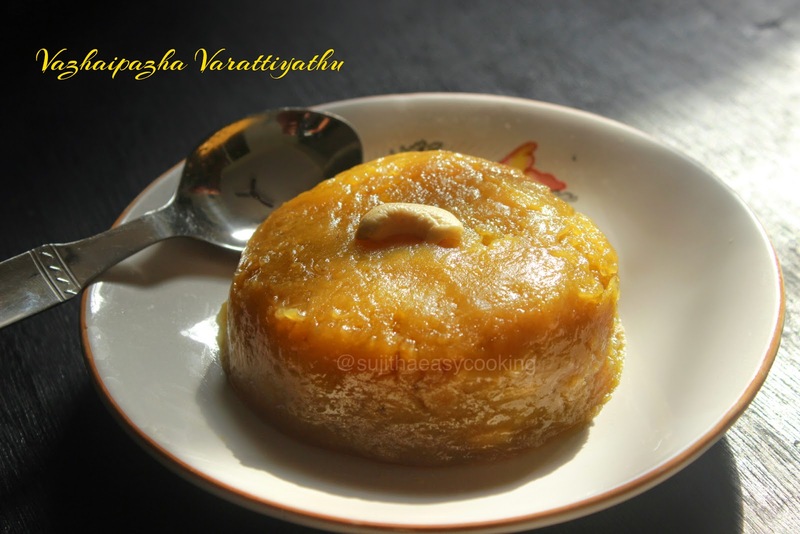 i don’t think so, but if you are in diet then it will be sin.. kids love this halwa.. this can be preserved for more than a month in refrigerator, can make banana kheer, illai appam, Kozhukattai by using this recipe.. Here you go with the recipe..
1. Cut banana into two pcs, steam them in a idli plate or in a steamer.. this step makes the banana to soft.. also i store my banana in refrigerator for more than a week so the skin looks dark in cool..
2. Here is the steamed banana, make cool to room temperature.. peel the skin..
3. Slit them and remove the seeds if any..
4. Take them in the blender and grind them to a smooth puree.. no need to add water. 5. Here is the mashed banana..
6. Heat a kadai with Ghee, add the Banana puree, Sugar to the pan. 7. Mix them well and start cook the mix, sugar will start to melt..
8. Consistency will get loose.. Stir continuously..
9. Some glossy looks has come.. Add rest of the ghee and stir well, its a bit challenging job to stir the mix. 10. Here you go.. it should comes out leaving the pan without sticking anything..
11. And this the final stage, This gets rolled up and ready to store..
Use good ripped banana for this recipe..
Only Nentra Pazham can taste well.. i have no idea with other variety banana..
Dont add water to grind. Add Ghee and sugar to taste, more ghee and sugar takes a royal twist for this recipe.